A high school in a college will be located at the Original Mount Vernon High School as a partnership between Northern Virginia Community College (NVCC) and Fairfax County Public Schools (FCPS). 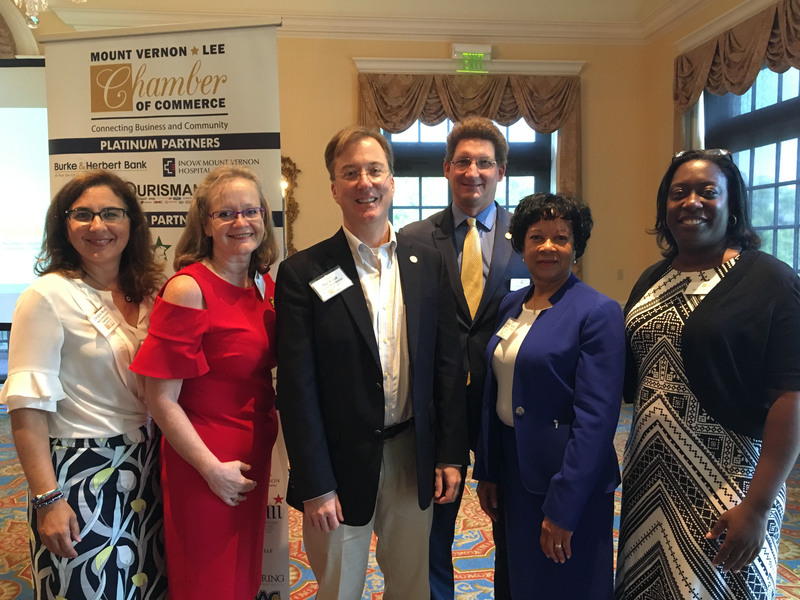 This announcement was made by Dr. Annette Haggray, provost of the Alexandria Campus of NOVA at the August business breakfast. This is an exciting announcement and something new for Fairfax County. A "high school in a college" is an innovative approach for high school students to earn both a high school degree and a two-year associate’s degree, or up to two years’ credit toward a bachelor’s degree. All of this takes place on a college campus which is this case would be located at the OMVHS site on Richmond Highway. While it will take several years for this initiative to be realized we commend Karen Corbett Sanders, chair of FCPS, who has been working closely with NVCC to bring this new opportunity to our community. It was exciting to listen to Dr. Haggray share ways NVCC collaborates with local schools by providing dual enrollment in high school and in their college classes. NVCC also teaches an information technology class at Mount Vernon High School with an emphasis on cyber security. NVCC is a regional leader in workforce development with six campuses and 7,000 graduates every year. One third of students are enrolled in one of the 53 career certificate programs. “One of our goals is to offer relevant workforce training and certification programs leading to employment,” said Dr. Haggray. They are eager to work with local businesses and provide training and certification program for employees.